Our seniors were unable to maintain their winning start to the season despite their best efforts at home to St Paul’s last Friday evening. The Holywood side led by four points at the interval and stretched their lead to seven with 25 minutes to go before the Fin outscored the visitors 0-09 to 0-05 over the remainder of the game but ran out of time in the end. Final score Aughlisnafin 1-12 St Paul’s 0-18. 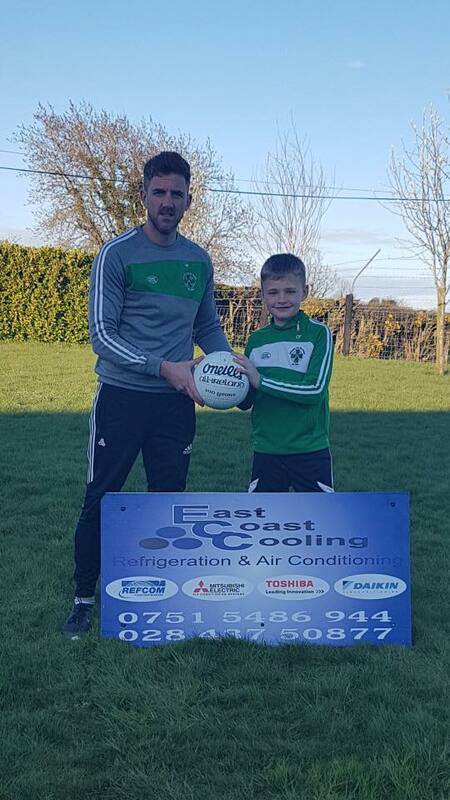 Match ball sponsor was Paul Flanagan of East Coast Cooling and thanks for the support. Next game is away to last season’s Junior Championship finalists Bright this Friday at 7.30 pm which will surely give the Fin a thorough examination of their credentials even at this early stage in the league campaign. 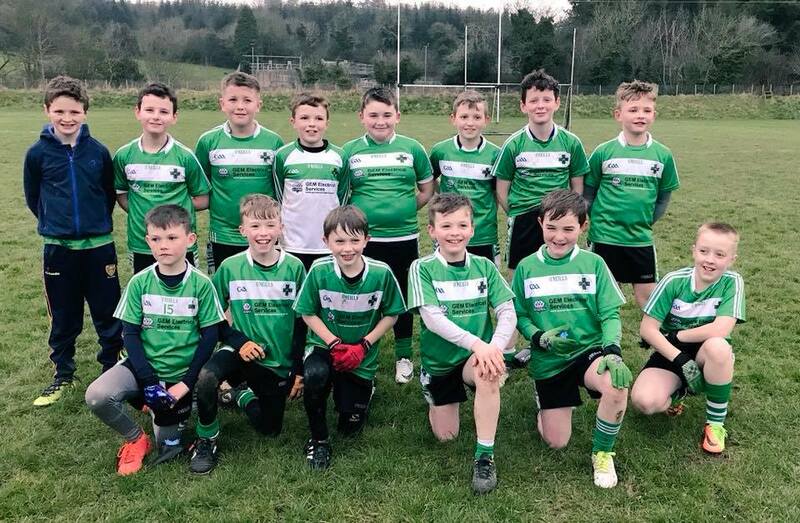 Ballylough minors won their first all county league game of the season away to Castlewellan last Tuesday evening. In a very evenly contested game that went right to the wire it was Ballylough who finished the strongest to come away with the spoils. Impressive performance from the fit again Andrew Gilmore (0-04) who got a welcome 40 minutes under his belt. Oran Flanagan (0-04), Shea Croskery (1-03) and Caolan Burns (1-02) also on target for the Loch. Final score Castlewellan 2-09 Ballylough 2-13. Our U16’s had a ‘bye’ last week and will host Carryduff this Thursday at 7.30 pm at Pairc Baile Anna. A win for the ‘Fin will see them achieve their objective of playing in the all county league but the North Down club will be outright favourites to win this fixture. Nonetheless it is a challenge our lads will relish and whatever comes to pass the experience gained will stand them in good stead for the season ahead. Our U14’s made it two wins from two with another great performance at home to Ardglass. The weather was atrocious but credit to both teams for serving up an excellent game of football that was end to end throughout. The game itself was evenly matched with the Fin grabbing 13 scores to Ardglass 10 but that old adage goals win games certainly rang true with the Fin hitting the net six times. Marc Quinn is in imperious form of late and scored 3-5 with Conor Walsh 1-0, Niall Dornan 1-0,substitute Conor O’Hare 1-0, Corey McCann 0-1 and Ethan Murray 0-1 also on target for the Fin. A clean sheet for our goalkeeper Odhran Maguire with Jamie King, Joseph Steen, Anthony Quinn and Corey McCann excelling in defence. Quinn and Dornan drove the team forward in the midfield sector and up front Conor Walsh, Dualta Pickering, Reece Tweedie and Ethan Murray all to the fore. Subs Conor OHare and Ryan McCann also contributing when introduced. Final score Aughlisnafin 6-07 Ardglass 0-10. Next week we have a bye and so the next game is away to St Paul’s on Monday 30th April. Congratulations to two of our U14 footballers Marc Quinn and Ethan Murray who were both selected for the Down Emerging Talent football squad. 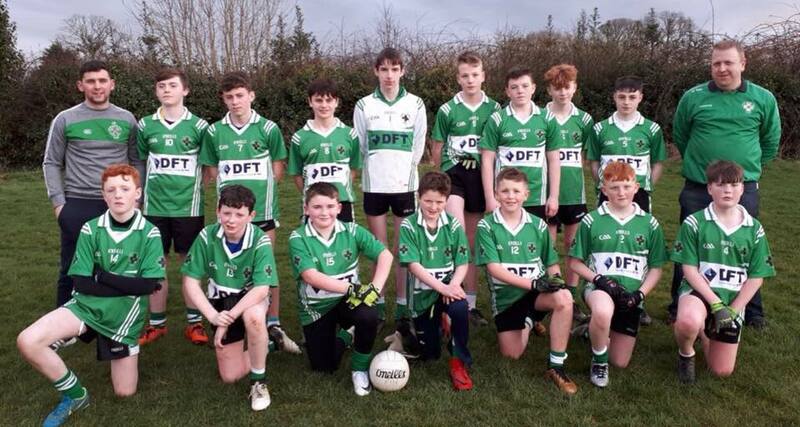 The St Malachy’s High School students helped their club team win the U14 championship six months ago and are key players on this years squad. The club are proud of their achievements. 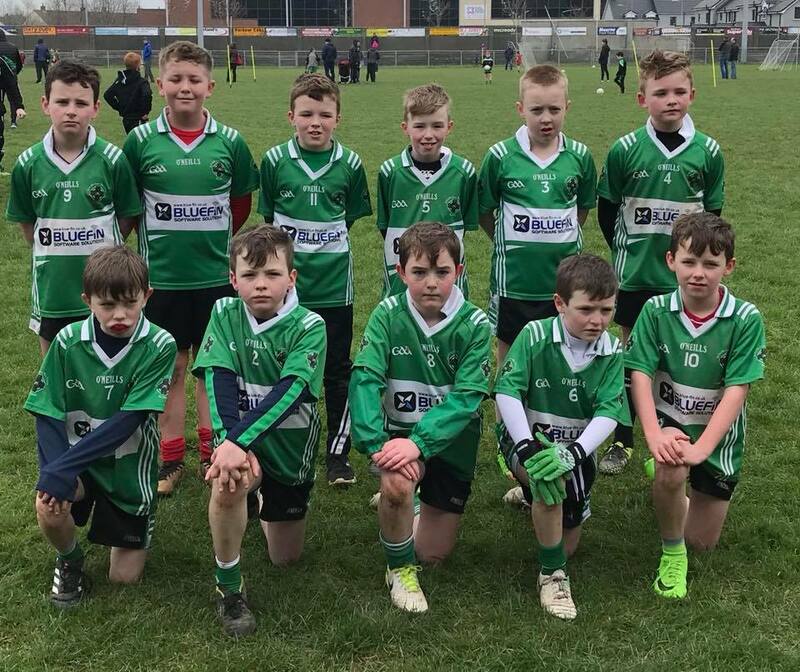 Our U12’s were awarded a ‘walk over’ victory against Ardglass who were unable to field on Sunday morning. The next game is at home to Bredagh C this Wednesday at 7.15 pm, followed by a game away to Bright this Sunday at 11 am. Our Year 6’s & Year 4’s are both in Go Games action this Saturday morning at 10.30 am The venue is to be confirmed.